Adform is used by more than 25,000 advertisers and 1,600 digital agencies to manage digital ad campaign planning, development and optimization. With an Adform dashboard, you can measure your digital campaign performance, not only with your Adform data, but with all your other digital marketing tools’ data as well! Create your Adform dashboard today! This historic widget shows the total number of times people took a desired action after seeing your Adform ad. 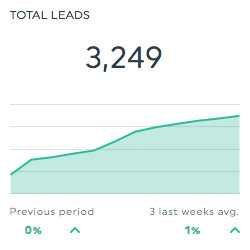 This list widget shows your campaigns in order of the number of impressions that each one generated. This historic widget shows how often people go to your website after having seen your Adform ad. It is calculated by dividing the number of clicks by the number of impressions, then multiplying the total by 100. 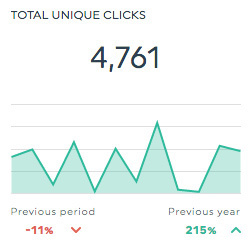 This historic widget shows how many unique people clicked on your Adform ad. Want to see all our Adform preset widgets? This is the total number of times that your ad was shown to your target audience. This is the total number of times that your ad was clicked on. 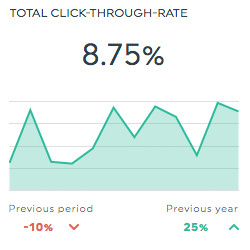 This is the average cost of each click on your ad. It is calculated by dividing the total cost by the total number of clicks. Called return on ad spend, this is the percentage of revenue generated for every dollar spent. It is calculated by dividing the total sales by the total ad cost, and multiplying the result by 100. Called return on investment, this is the profit generated for every dollar spent. It is calculated by subtracting the total ad cost from the total sales, and then dividing the result by the ad cost. This is the total number of times that your ad was clicked on by individual users. This dimension allows you to isolate your data based on the type of ad. This dimension allows you to isolate your data based on your audience’s home country. Want to see all our Adform metrics, segments, & dimensions? How do I create a dashboard report with Adform?